I moved to Durham University in 2014 as a Reader in Computational Quantum Information Theory in the Quantum Light and Matter Research Section in the Department of Physics, and the Joint Quantum Centre (Durham and Newcastle). I am funded under the EPSRC Quantum Technologies theme by an EPSRC Established Career Fellowship in Hybrid Quantum-Classical Computation. I am researching into many aspects of quantum computation, from understanding how the quantum speed up is achieved to comparisons of analog and digital versions of quantum computers. Much of my work involves classical numerical simulation, calculating the entanglement in quantum registers and investigating the properties of quantum versions of random walks. If you want to know more specifically what I do you can search for my papers on the preprint ArXiv or ORCID listing or Google Scholar. Edited special issue on Heterotic Computing published online in Phil Trans Roy Soc A. You can read a blog post with more information. A related paper is available open access in Proc. Roy. Soc. A - When does a physical system compute? You can find many more references to current groups and conferences on the subject of quantum information by visiting the QUROPE EU CA website. From 2004 I was in the School of Physics and Astronomy at the University of Leeds in the (former) Quantum Information group. I was funded by a Royal Society University Research Fellowship until September 2012, and promoted to Reader in Quantum Computational Physics in 2011. Before this I was part of the Quantum Information and Quantum Optics Theory Group at Imperial College. My (ex)-colleagues there are almost normal people... Before coming to Imperial (April 2000), I was in the Computational Nonlinear & Quantum Optics group at Strathclyde University working on quantum measurement. I finished my PhD at Edinburgh in July 1999, in the Soft condensed matter group. It was an investigation of the basic dynamics of phase separation when a binary fluid mixture is quenched to region where the two fluids prefer to be separated - spinodal decomposition. For more details, you can read a poster (warning: contains two large images) that I prepared for the MolSim 99 online conference (April 1999). Before my PhD, I used to work for GreenNet, a non-profit Internet service provider (now over thirty years old!!!) and member the Association for Progressive Communications. I have also done work for Oxfam and Amnesty International. Prior to joining GreenNet I lived in Glasgow and was an active campaigner for Scottish CND. I have a fine gallery of photos and links to photos from various holidays, conferences, trips, hill-walks etc. 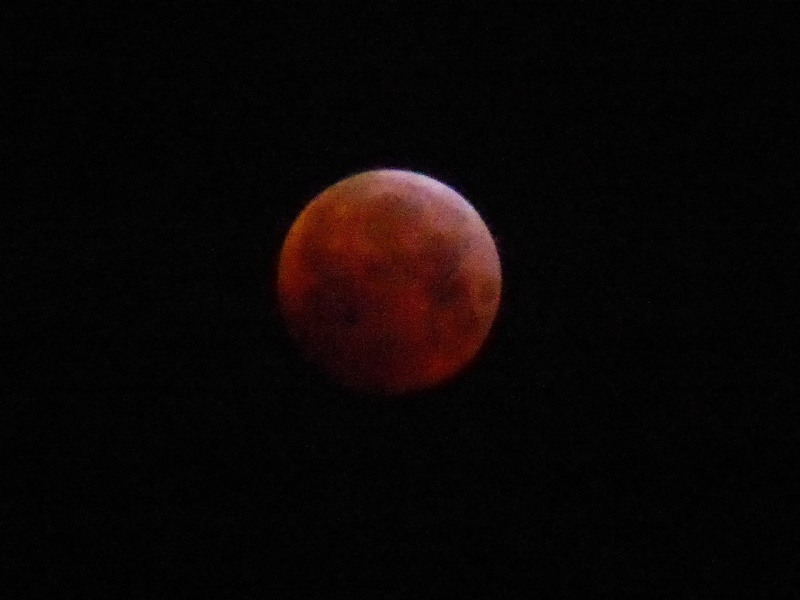 Photo of the moment: super blood wolf moon 5am 21st January 2019. A little random quantum humor. I rescued them and put them here. Note that recordings of some of the talks are still available on the website.